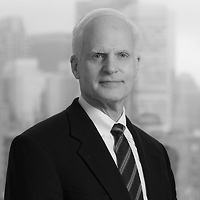 David C. Henderson, a partner in Nutter’s Litigation Department and a member of the firm’s Labor, Employment and Benefits practice group, authored an article in Massachusetts Lawyers Weekly that analyzed how the recent ruling by the U.S. District Court in Izzo v. Genesco, Inc. stands out as a clear explanation of abstruse law. In the article, “Ruling explains how federal, state laws protect employees with no impairment,” David notes that it is an explanation of a particular aspect of the law’s complexity that Massachusetts managers are likely to find especially confusing. He points out that Izzo shows, among other things, how nuanced and counterintuitive discrimination/handicap law can be, even with the most basic of its definitions. According to David, it also shows how the complexity is exacerbated even further when a manager has to consider subtle differences between federal and Massachusetts law. Click to view the complete article.